The Summit Eyecare Dry Eye Center with LipiFlow was established in November of 2016. With an emphasis of treating dry eye conditions at the source of the problem, Summit Eyecare invested in the newest technology available. Traditionally, treatment of dry eyes rarely included more than prescribing eye drops. While eye drops provide temporary relief, unfortunately, they only treat the symptoms of the condition but not the root of the problem. In the following video, the Summit Eyecare doctors explain how the dry eye center can help people who are suffering from chronic dry eye. One of the main reasons the Summit Eyecare Dry Eye Center with LipiFlow is unique is the investment made in the technology. Most of the technology used in the dry eye center has only recently been made available. The dry eye center has cutting edge technology that our doctors use to aggressively and effectively treat the source of dry eye condition specific to the condition of each patient. Two of the main tools used in the dry eye center are the LipiView and LipiFlow systems. The LipiView digital imaging system, is used to capture a digital image of an eye that allows our eye doctors to see and measure tear film and determine the physical condition of the miebomian glands. Miebomian glands are the tear glands that release the oils that lubricate the eye. The second tool in this one-two combination is the LipiFlow system. This system effectively treats a common type of dry eye called evaporative dry eye. This procedure restores the miebomian glands to their regular function with little to no discomfort. The treatment itself only takes about 10 minutes and the results are undeniable. 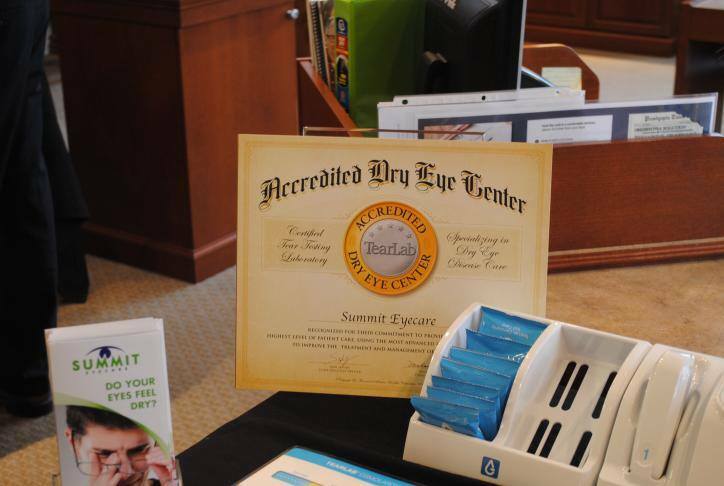 The Summit Eyecare Dry Eye Center with LipiFlow is an accredited Dry Eye Center. The accreditation means that the dry eye center meets specific requirements that enable us to provide the best patient care. 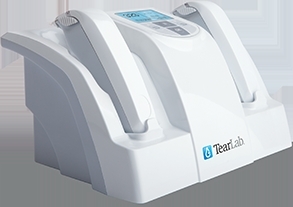 With equipment and specific lab science that accurately measures tear osmolarity, which is the saltiness of your tears, our doctors can determine the quality of tears. With this information, treatments can be recommended specific to the patient's condition. With the equipment and laboratory science available at the Summit Eyecare Dry Eye Center with LipiFlow, you can rest assured that you will received the latest and most effective treatments to relieve the symptoms of chronic dry eye. To learn more about the treatments available at the dry eye center, click here. For an appointment, call any of our Summit Eyecare locations.